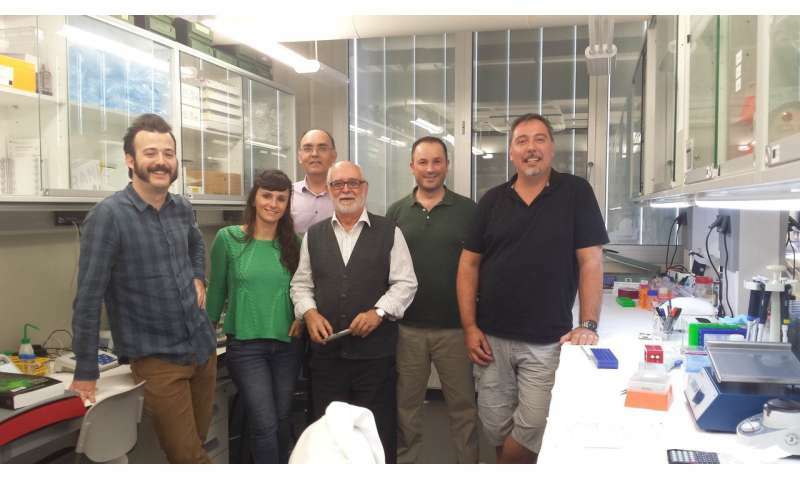 An international team of seven institutions from Spain and the US including the University of Valencia has discovered for the first time that the biological activity of the c-MYC gene is necessary for cell reprogramming, the process by which a specialised cell such as a neuron is transformed into a different cell type. According to the results published in Stem Cell Reports, internal cellular activity favoured by the genes of the MYC family may be the cause of any cellular transformation. The study completely disassembles the previous paradigm around c-MYC gene effects on cellular reprogramming. The article published in the journal of the International Society for Stem Cell Research (ISCCR) describes a remodeling of mitochondrial dynamics and metabolism by the c-MYC gene during the first phase of this process. "Our results show for the first time that the biological activity of the MYC gene family is necessary to transform a somatic cell into a pluripotent cell that, when becoming different, can originate any cell type. Due to the parallelisms between the described reprogramming process and the cellular transformation carried out by oncogenes, our results suggest that endogenous MYC genes may be behind the action of these oncogenes to transform a normal cell into a cancerous one. In this way, the MYC proteins are identified as possible therapeutic targets in tumours where they are not directly responsible as oncogenes," said Josema Torres, a researcher associated with INCLIVA. Prior to this study, it was believed that during cell reprogramming, oxidative phosphorylation was canceled. This is a metabolic process that uses the energy released by the oxidation of nutrients to produce ATP, a molecule used to generate energy for the chemical reactions that occur within the organism. At the same time, it was thought that this process was canceled during cell reprogramming, and it was also thought that glycolysis occurred (a succession of chemical reactions through which the cell obtained energy from the glucose). The new results demonstrate the importance of metabolic processes for cell reprogramming, and that the protein that governs this process is c-MYC. And in addition, the researchers prove that during this transformation, a process called bivalent or hybrid metabolism takes place, in which both oxidative phosphorylation and glycolysis occur. MYC genes, a group of which c-MYC is a part, belong to the family of proto-oncogenes that promote cell division. These genes are found in the nucleus of the cells and encode proteins. Therefore, they regulate the activity of other genes. In the transformation of a somatic cell, for example, it is very probable that metabolic changes are needed as a result of its gene c-MYC so that this process takes place.